Corporation Name; you may supply a partial name and we will narrow it down for you. Do you need a certified report for court purposes? YES, I agree to proceed with the order even if only limited or fundamental information is available. 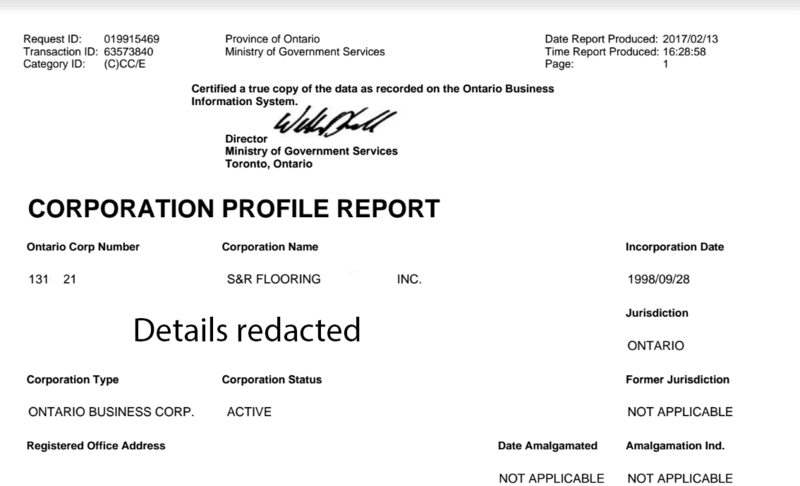 Please order an Ontario Corporate Profile Report to confirm who are the directors and officers of an Ontario corporation. 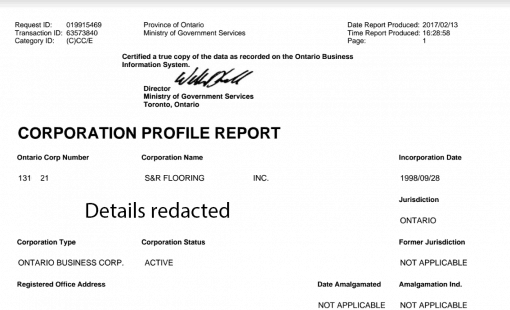 A certified Corporate Profile Report is required if you are using the report as evidence in a court proceeding. Self-incorporated startups often fail to ever submit an initial return that shows who are the officers of the corporation. Nonetheless, the names and addresses of the initial directors will still show up in the report.